Home Frugal Tips: Best Warm Compress Ever! Frugal Tips: Best Warm Compress Ever! Parents magazine said a disposable diaper could be used as a breast compress for engorgement, because it stays hot for a long time (when filled with warm water). 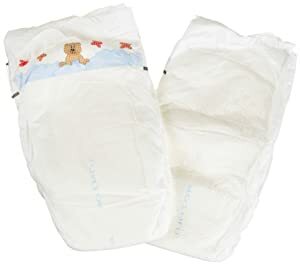 Think about that - a peed-in diaper is 98.6 degrees F, and stays that way! Well, the nurse at the hospital soaked a disposable diaper and heated it up in the microwave to use as a warm compress to heat up Christopher's foot, before she did a heel prick. I wondered why it didn't cool off right away - she had to keep doing the prick over and over because his blood wasn't flowing well. TO USE: Run water in a disposable diaper and let it soak it up, then microwave for about 30 seconds (be careful - don't walk away or the diaper could catch fire). Labour and delivery nurse approved!